I find myself spending a fair amount of time Googling my soon-to-be home, so I figured that I would share some facts about my soon-to-be home town with y'all! - Léogâne was the epicenter of the earthquake of 2010. 80-90% of buildings were damaged, including the former centers of the town, the Catholic Church and the school. -If you have ever read Mountains Beyond Mountains, Léogâne is where Paul Farmer first became fed up with the medical system in Haiti enough to start a revolution in the way we think about international health care. If you haven’t read Mountains Beyond Mountains, I would strongly recommend it. -In Léogâne, the Episcopal Church runs a Nursing school and the Hôpital Sainte-Croix, the local hospital. They are also in the process of opening a school of Occupational Therapy! -Notre Dame researchers are hosted at Sainte-Croix, where they are doing incredible research on lymphatic filariasis, a disease derived from mosquitoes that causes massive lifelong swelling of the limbs. Learn more about it here in this Washington post article! 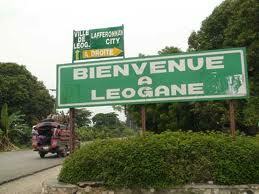 -Léogâne boasts a handful of restaurants, a music hall, frequent concerts, a bank, and a brand new drainage system! There is also an active bartering market selling many goods, which I am excited to explore! Moreover, Léogâne is a tourist destination as a sight of bull running! Where in the World are these YASCers Going?